Quality of Service of Multimedia Comm. 005. W.L.Huang, C.M.Yuan, and W.S.Hwang, 2001, "A Study of Applying WWW Concepts for the Power System Course Disciplines," Monthly Journal of Taipower's Engineering, vol. 633, pp.130.-140, May, 2001. 006. 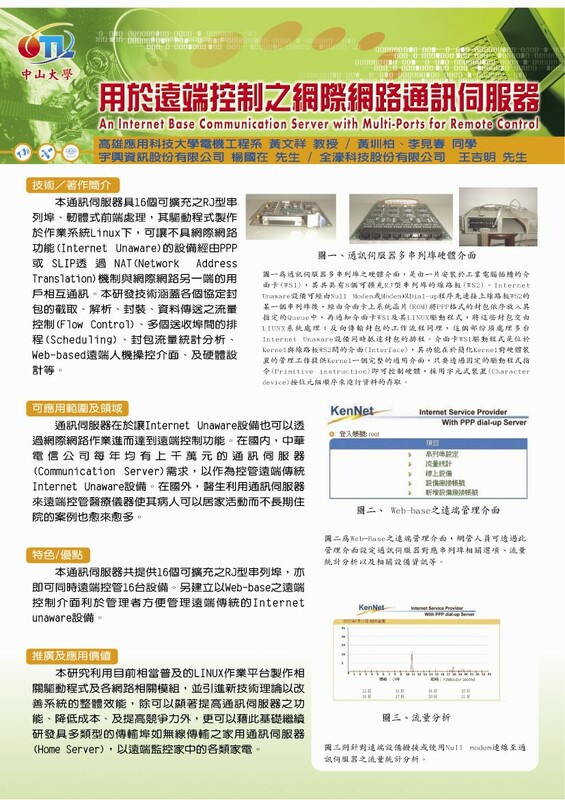 W.S.Hwang, 2001, "The Carrier Preemptive Access Protocol for Supporting IP over All Optical DWDM Ring Networks," Journal of National Kaohsiung University of Applied Sciences, pp.91-110, Dec. 2001. 009 W.P.Chen and W.S.Hwang, 2005, "The Access Point Protocol for Supporting the Variable Size Packets over DWDM Metro ring Networks," Journal of National Kaohsiung University of Applied Sciences, vol. 34, pp. 133-144, May 2005. 014 C.H. Ke, C.H. Lin, C.K.Shieh, W.S.Hwang, A.Ziviani, 2007,"Evaluation of the Delivered MPEG Video Quality over Wireless Channels," Journal of Mobile Multimedia, vol. 3, no. 1, pp.47-64, 2007. 015 C.H. Ke, C.K.Shieh, W.S.Hwang, A.Ziviani, 2007,"Improving video transmission on the Internet," IEEE Potentials Magazine, vol. 26, no. 1, pp. 16-19, 2007. 027 J.H.Ho and W.S. Hwang, "Supporting Multiple classes of services in IP over WDM ring network", Journal of Communication and Computer, ISSN1548-7709, USA, vol.6,no.2,pp.11-15,Feb.2009. 033 W.S Hwang and C.H.Lin, "Adaptive Channel Assignment for High Efficiency Transmission in Wireless Mesh Networks," 中國電機工程學會高雄市分會100年特刊, pp.54-64, Dec 2011. 034 P.C. Tseng, R.S. Cheng, Y.C. Chang, and W.S. Hwang, " Toward Ubiquitous Networking QoS-aware Residential Gateway with Embedded ZigBee-based Network," pp.38-53, Journal of Computers, Vol.23 No.2, July 2012. 072 Rung Shiang Cheng, Hui-Tang Lin, Wen-Shyang Hwang, and Ce-Kuen Shieh, 2005, "Improving the Ramping Up Behavior of TCP Slow Start," proceedings of IEEE Advanced Information Networking and Applications (AINA), pp. 807-812, 2005. 073 W.P. Chen, W.S. Hwang, T.C. Hsin, and C.T. Sung, 2005, "A Novel MAC Protocol of IP over Metro Ring Network for End-to-End QoS," ICSS2005, pp. 1184-1189, Apr. 2005. 076 T.K. Lin and W.S. Hwang, 2005, "The Tendency and Status of VOIP in Chunghwa Telecom," 2005 Symposium on Digital Life and Internet Technologies, (9B) PP. 136, May 2005. 077 W.S. Hwang, C.N. Lin, C.C. Chien, and Y.D. Lin, 2005, "The Implementation of the Residential Gateway with IPv4IPv6 Translation," 2005 Symposium on Digital Life and Internet Technologies, (7C) PP. 105, May 2005. 078 W.S. Hwang and J.T. Chien, 2005, "The Implementation of an Embedded System for Controlling Remote Appliances," 2005 Symposium on Digital Life and Internet Technologies, (7C) PP. 101, May 2005. 080 W.S. Hwang, S.H. Lin, J.T. Chien, J.Y Wang, and S.J. Wey, 2005,“Design and Implementation of an iLVM Mechanism for Remote Mirror", Session D11, TANET 2005 (獲得最佳論文榮譽). 081 C.H. Lin, W.S. Hwang, C.P. Su, and S.J. Wey, 2005,“A Novel Technique for Remote Snapshot Using Rollforward and Multiple-to-One Snapshot Management," Session E63, TANET 2005. 082 W.P Chen, W.S Hwang, T.C Hsin, J.H. Ho, and C.K. Shieh, 2005,“Study Length Effect of Fiber Delay Line in Optical Switching Node of Metro Ring Networks," Session E63, ISCOM 2005. 083 T.C. Hsin, W.P. Chen, S.I. Lin, W.S. Hwang, and C.N. Tsai, 2005,“The Study of OPS and OBS Performance for All Optical Metro WDM Ring Network," Session PB, OPT2005, 2005. 085 W.P. Chen, C.T. Sung, C.C. Chien, and W.S. Hwang, 2006, "A High Performance OBS Metro Ring Networks for Studying Superior FDL Length under Guard-Time Effectiveness," OECC 2006, Jul 4 2006..
088 C.N. Lin, P.C. Tseng, and W.S. Hwang, “End-to-End QoS Provisioning by Flow Label in IPv6,” 9th JCIS 2006, pp. 848-851, Oct. 8-11, 2006. 089 Y.S. Lin, J.Y. Wang, and W.S. Hwang, “Scheduling Mechanism for WLAN Frame Aggregation with Priority Support,” 9th JCIS 2006, pp. 844-847, Oct. 8-11, 2006. 090 C.H. Lin, S.J. Wey, T.L. Tsai, Jun-Yao Wang, and W.S. Hwang, “Snapshot Lifecycle Management - SLM,” 9th JCIS 2006, pp. 879-882, Oct. 8-11, 2006. 091 M.Y. Tsai, W.P. Chen, C.M. Lu, W.S. Hwang, and C.N. 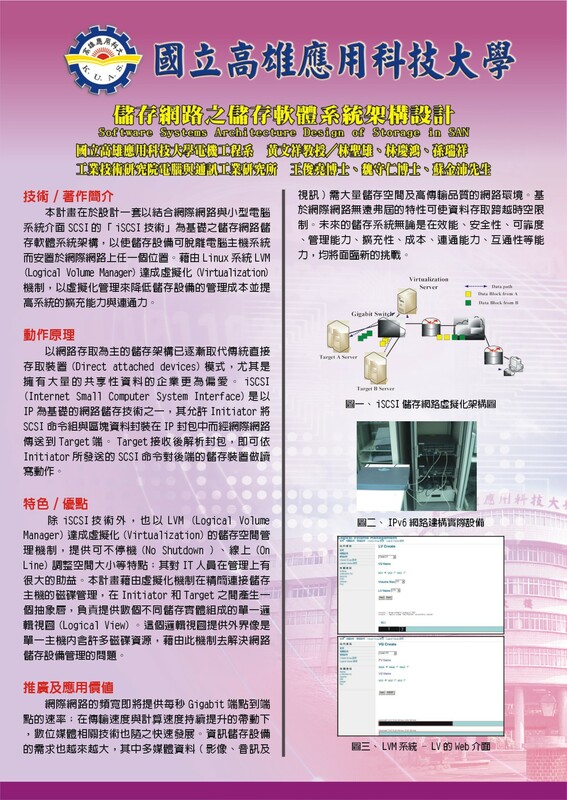 Tsai,“A Novel and Simple MAC Protocol for OBS Metro Ring Networks,”National Symposium on Telecommu. Session B7, Dec. 2006. 092 C.M. Lu, W.P. Chen, M.Y. Tsai, W.S. Hwang, and C.N. Tsai,“A Quota-based Access Scheme Supporting OPS Metro Ring Networks,”National Symposium on Telecommu. Session B7, Dec. 2006. 095 Y.B. Lee and W.S. Hwang, “A Quota Transfer Protocol for Upstream Transmissions in Wireless Mesh Networks,”2007 Symposium on Digital Life Technologies, pp. 338-342, Jun. 7-8, 2007. 097 黃瑞然、陳文平、黃文祥、李財福、蔡政男,” L3交換器最佳化負載配置之研究,”2007年全國電信研討會(NST2007), pp.484-488, Dec.23-24, 2007. 098 熊俊魁、曾珮宸、黃文祥,”嵌入不可見浮水印的最佳位置搜尋機制, ” 2007年全國電信研討會(NST2007), pp.161-165, Dec.23-24, 2007. 099 J.H. Ho, W.S. Hwang, and W.P. Chen,“A Novel Multimedia Network backbone Architecture base on Proportional Delay Differentiation,”IEEE IIH-MSP-2007, pp.71-74, Dec.26-28, 2007. 103 P.C. Tseng, C.Y. Chen, and W.S. Hwang,2008, "An Embedded QoS-aware Residential Gateway in Advanced Home Network," 4th Workshop on Wireless Ad Hoc and Sensor Networks, pp. 231-236, Sep. 4-5, 2008. 104 S.Y. Li and W.S. Hwang, 2008, "A Dynamic Threshold Bandwidth Reservation Scheme in IEEE 802.16e Networks," 4th Workshop on Wireless Ad Hoc and Sensor Networks, pp. 439-446, Sep. 4-5, 2008. 105 Y.T. Kuo and W.S. Hwang,2008, "A Load-Balancing Routing scheme for Upstream Transmissions in Wireless Mesh Networks," 4th Workshop on Wireless Ad Hoc and Sensor Networks, pp. 208-214, Sep. 4-5, 2008. 106 W.T. Hu, and W.S. Hwang,2008, "A Dynamic Adjust Handover Margin Mechanism for Hotspot Cell Problem in Cellular Networks," 4th Workshop on Wireless Ad Hoc and Sensor Networks, pp. 475-480, Sep. 4-5, 2008. 107 C.H. Shih, J.N. Guo, C.K. Shieh, and W.S. Hwang,2008, "Employing In-packet Segmentation with Wireless ARQ Protocols to Improve the Quality of TFRC Video Streaming," 4th Workshop on Wireless Ad Hoc and Sensor Networks, pp. 266-270, Sep. 4-5, 2008. 108 H. J. Liao, T. H. Wu, M. F. Tsai, C. K. Shieh and W. S. Hwang, 2008, "Bandwidth and Burst aware Adaptive Forward Error Correction in Video Streaming over Wireless Networks," 4th Workshop on Wireless Ad Hoc and Sensor Networks, pp. 271-276, Sep. 4-5, 2008. 109 C.H. Lin, C.K. Shieh, W.S. Hwang, C.H. Ke, "An Exponential-Linear Backoff Algorithm for Contention-based Wireless Networks," ACM Mobility Conference, September, 2008. 110 M.F.Tsai, C.H.Ke, T.H.Wu, C.K. Shieh, and W.S.Hwang, "Burst-aware Adaptive Forward Error Correction in Video Streaming over Wireless Networks," IEEE International Conference on High Performance Computing and Communications, September 25-27, 2008, 625- 628, DaLian, China. 114 M.Y.Tsai and W. S. Hwang, 2009, "A High Performance WiMAX DBA Algorithm by Using Max-Min Fair Sharing Policy," 5th Workshop on Wireless, Ad Hoc and Sensor Networks, D1-2, Sep. 10-11, 2009. 115 C.Y. Chen and W. S. Hwang, 2009, "Design and Implementation of WLAN AP selection mechanism by using RSS and AP load," 2009 Conference on Information Technology and Applications in Outlying Islands, May 22-24, 2009. 116 H.F.Ko and W. S. Hwang, 2009, "An Interference-aware Channel Assignment Strategy in Multi-Radio Wireless Mesh Networks," TANET 2009, Oct. 28-30, 2009. 117 H.M.Hsu and W. S. Hwang, 2009, "An Energy-saving Routing Scheme by Using Genetic Algorithm in Wireless Sensor Networks," NCS 2009, Nov. 27-28, 2009. 118 C.K.Hsiung and W. S. Hwang, 2009, "K-MAC:Energy-efficiency and Low-delay Distributed TDMA Mechanism on Cluster-based Wireless Sensor Network," NCS 2009, Nov. 27-28, 2009. 119 P.W.Huang and W. S. Hwang, 2009, "An Effective Uplink Scheduling Algorithm with Dynamic Adjustment in IEEE 802.16," NST 2009, Dec. 11-12, 2009. 120 C.M.Lu and W. S. Hwang, 2009, "A Precise AP Load Estimation Mechanism for Load Balance in IEEE 802.11," NST 2009, Dec. 11-12, 2009. 123 J.Y.Tsai, G.C.Chen, and W.S.Hwang, 2010, "Improve the Efficiency of Preparation Phase in Seamless Handover by using MIIS," NST 2010, Dec. 3-4, 2010..
124 C.H. Cheng, and W.S.Hwang, 2010, "IA Dynamic Bandwidth Request Algorithm based on Traffic Loading for Best-Effort in IEEE 802.16 Networks," NST 2010, Dec. 3-4, 2010. 127 W.P.Chen, S.X. Chen, M.J.Xu, and W.S.Hwang, 2011, "The Study of Performance under Asymmetrical Traffic Load for EPON.p," 2011 Conference on Optical Technology, pp.127-132, May 27, 2011. 136 M.H.Cheng,*W.S.Hwang, C.H.Lin, G.C.Chen, "A Stationary Transition Backoff Mechanism for Channel Access in IEEE 802.11 DCF WLAN," 8th Workshop on Wireless, Ad Hoc and Sensor Networks (WASN 2012), Session_D_11:WASN 2012_64, Aug. 29-30, 2012. Taipei, Taiwan. 137 H.M.Hsu, W.S.Hwang,"An Energy-balanced Routing Scheme based on Partition in Wireless Sensor Networks,"
138 林志勳,謝錫堃,林政翰,黃文祥,"IEEE 802.11 DCF無線網路之通道配置傳輸效能分析," 8th Workshop on Wireless, Ad Hoc and Sensor Networks (WASN 2012), Session_D_2:WASN 2012_14, Aug. 29-30, 2012. Taipei,Taiwan. 139 余豐丞, 鄭明華, 黃文祥*,"在IEEE 802.11e HCCA網路下額外聚合TXOP之指派," TANET2012, G-399-1, Oct.23-25, Taipei, Taiwan. 140 W.M.Cheng, W.S.Hwang*, Cheng-Han Lin, and H.K.Su,"Performance Analysis of Routing Protocol over Wireless Sensor Networks," WCE2012, Nov. 16, Hu-Wei, Taiwan. 141 P.C.Tseng, J.Y.Tsai, and W.S.Hwang*,"Coding Scheme Improved Query Efficiency of Hierarchical MIIS Servers with Cache in Heterogeneous Networks," International Computer Symposium (ICS 2012), pp.693-701, Dec. 12-14. 2012,Hualien,Taiwan. 142 C.Y.Yu, C.H.Lin, W.S.Hwang*, and C.K.Shieh,"Weight-Based Video Multicast over Broadband Wireless Access Networks," I-SPAN 2012, pp.162-168, Dec. 13-15, 2012. San Marcos, Texas, USA. 143 C.H.Lin, H.W.Zhang, C.K.Shieh, and W.S.Hwang*,"Performance Analysis of MPEG-4 Video Stream with FEC Error Recovery over IEEE 802.11 DCF WLANs," WiVid 2013 - WiOpt 2013, pp.634-640, May. 13-17, 2013. Tsububa, Japan. 152 M.H.Cheng,R.J.Deng,W.S.Hwang*,and Y.J.Wu,"An AODV-based Backup Routing Mechanism for Time-Critical in Wireless Mesh Networks" The 10th Inernation Conferene on Intelligent Information Hiding and Multimedia Signal Processing (IIH-MSP 2014), pp. 546-549, Aug. 27-29,2014. Kitakyushu, Japan. 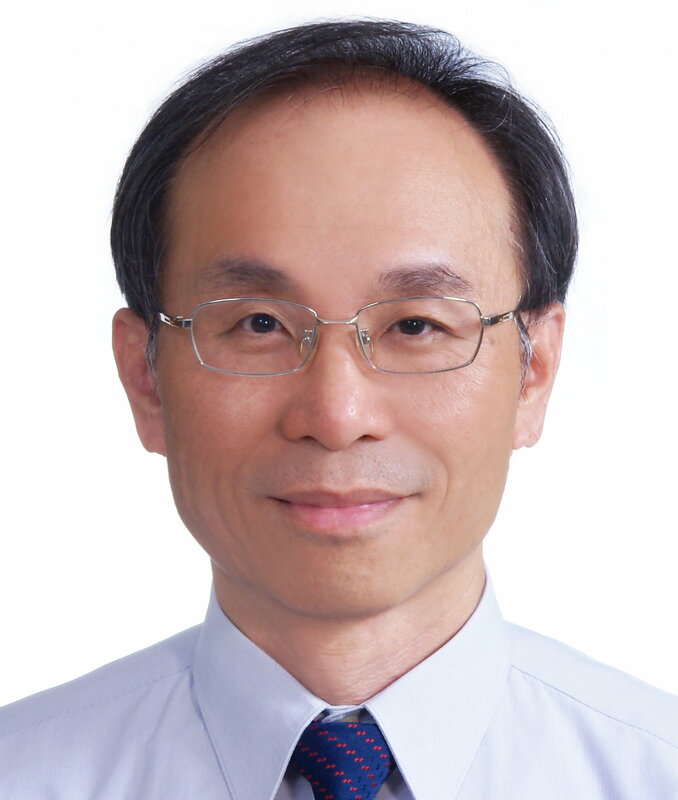 155 M.H.Cheng,C.H.Lin,W.S.Hwang*,F.C.Yu,"TXOP Combinatorial Problem in IEEE 802.11e HCCA Networks," 2015 International Conference on Software and Information Systems (ICSIS2015), May 9-10,2015. Las Vegas,USA. 156 C.H.Lin,C.K.Shieh,W.S.Hwang*,J.J.Wang,"R-SPOFTR: Relieving Single Point of Failure in Tree Routing to Prolong Sensor System Lifetime," The 8th International Conference on Ubiquitous and Future Networks (ICUFN2015), Jul.7-10, 2015, Sapporo, Japan. 162 鄭明華,張凱涵,黃文祥*,吳妍靚,林政翰,"改善LTE系統上M2M無線通訊存取的動態倒退演算法," The 12th Workshop on Wireless, Ad Hoc and Sensor Networks (WASN2016), Aug. 23-24, 2016. 南投蕙蓀林場. 163 陳品豪,林政翰,謝錫堃,黃文祥,"無線家用區域網路上四倍增加或減少之倒退演算法," 2016年民生電子研討會, Nov. 19, 2016. 花蓮東華大學. 166 鄭明華,江俊毅,黃文祥*,吳妍靚,林政翰,"一種在無線網狀網路上的適應性狀態倒退演算法," The 13th Workshop on Wireless, Ad Hoc and Sensor Networks (WASN2017), Aug. 27-28, 2017. 高雄市義大世界. 167 鄭明華,王建明,黃文祥*,吳妍靚,林政翰,"利用軟體定義網路在資料中心的路線權重計算負載平衡演算法," TANET2017 臺灣網際網路研討會, Oct.25~27, 2017. 台中東海大學. 169 鄭明華,余旻昕,黃文祥*,吳妍靚,林政翰,"在軟體定義無線網狀網路中的快速表格更新路由演算法," WASN2018 ID29, Aug 26-27, 2018. 桃園. 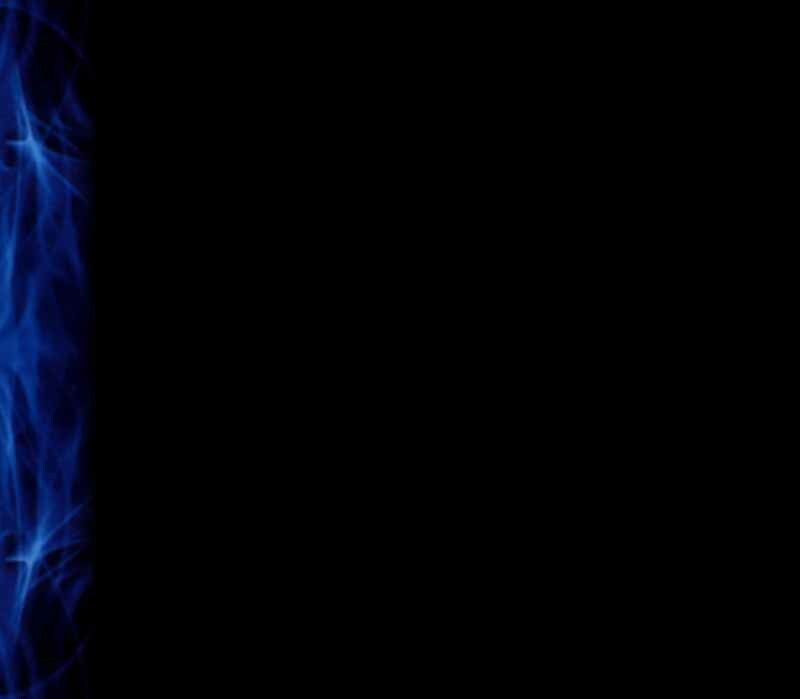 170 鄭明華,蔡定邦,黃文祥*,吳妍靚,林政翰,"在IEEE802.11ah下根據網路狀態的分組機制," MC2018 第23屆行動計算研討會議, Aug 26-27, 2018. 桃園. 06 US007464239 B2 Dec. 9, 2008 System and method for remote mirror data backup over a network: Wen-Shyang Hwang, Sheng-Hsiung Lin, Meng-Yu Lee, Shou-Jen Wey. 08 US 7,948,890 B2 May 24, 2011 System and method for providing a communication channel: Ce-Kuen Shieh, Wen-Shyang Hwang, Yun-Shuai Yu,Che-Shiun Ho, Ji-Feng Chiu, Hsian-An Chang. 陳文平, The Study of Packet Collision Avoidance and Bandwidth Allocation for All-optical Metro Networks, 97/6/6. 曾珮宸, The Study of QoS Residential Gateway based on a Service-oriented Architecture, 97/12/31. 李見春, CSMA/CP; An All-Optical QoS-based IP-over-DWDM MAN Ring Network, 92/6. 宋相頌, The Implementation of QoS-based Video on Demand, 92/6. 曾珮宸, Development of a QoS-aware Residential Gateway (QRG), 93/6. 林聖雄, Design and Implementation of an iLVM Mechanism for Remote Mirror, 94/6. 施力鳴, Development of an Embedded Fiber Monitoring System, 94/6. 黃國財, The Study of End-to-End QoS in CSMA/CP WDM Ring Network, 94/7. 林天貴, The Study of the Optimal Connection Allocation for Later-3 Switch, 95/1. 林慶鴻, Snapshot Lifecycle Management, 95/7. 林傳能, Study of IPv6 QoS Provision by Using Traffic Class and Flow Label, 95/7. 簡仲勤, HEDBA: A High Efficient DBA Algorithm based on REPORT Message for EPONs, 96/7. 林洋聖, CFDCA: A Novel MAC Protocol for IEEE 802.11, 96/7. 李延斌, The Quota Transfer Protocol for Upstream Transmissions in Wireless Mesh Networks, 96/7. 簡瑞廷, ARCS: Asymetric Resource Control Scheme to Alleviate Congestion in Wireless Sensor Networks, 97/7. 李松穎, A Dynamic Threshold Bandwidth Reservation Scheme in IEEE 802.16e Netowrks, 97/7. 郭昱廷, A Load-Balancing Routing scheme for Upstream Transmissions in Wireless Mesh Networks, 97/7. 施富宏, The Multiple Path Protection of DWDM Backbone Optical Networks, 97/7. 胡文宗, A Dynamic Handover Margin (DHM) Mechanism for Hotspot Cell Problem in Cellular Networks, 97/7. 柯旭峰, An Interference-aware Channel Assignment Strategy in Multi-Radio Wireless Mesh Networks, 98/6. 陳建宇, Development of an Access Point Selection Scheme for Wireless LAN based on RSS and Connection Load, 98/6. 蔡明勇, A High Performance WiMAX DBA Algorithm by Using Max-min Fair Sharing Policy, 98/6. 呂家銘, A Precise AP Load Estimation Mechanism for Load Balance, 98/6. 熊俊魁, Distributed TDMA Scheduling for Energy-Efficeiency and Low-Latency Wireless Sensor Networks, 99/7. 黃寶瑋, An Uplink Scheduling Algorithm based on Adaptive Threshold in WiMAX Networks, 99/7. 許紘銘, An Energy-balanced Routing Scheme based on Partition in Wireless Sensor Networks, 99/7. 鄭振華, A Dynamic Bandwidth Request Algorithm based on Traffic Loading forBest-Effort in IEEE 802.16 Networks, 99/7. 林永昌, FPOC: A Channel Assignment Strategy using Four Partially Overlapping Channels in Mid-scale Wireless Mesh Networks,100/7. 蔡佳言, Improvement of Query Efficiency in Hierarchical MIIS Server with Cache in Heterogeneous Network (HMCHN), 100/7. 吳佳達, Dynamic Resource Allocation of IEEE 802.16j Networks with Directional Antenna, 100/7. 何謦澧, Dynamic GTS Allocation Scheme with Fairness in IEEE 802.15.4 Networks, 101/7. 余豐丞, Assignment of Extra Aggregative TXOP in IEEE 802.11e HCCA Networks, 101/7. 陳國成, NGS: A Node Grouping Scheme for Reducing Collision Probability in IEEE 802.15.4 Networks. 102/7. 陳文銘, OITS: Using Orphan Nodes to Improving the Tree Routing Efficiency in Wireless Sensor Networks. 102/7. 陳柏廷, A Novel Seamless Handover Policy in IEEE 802.11. 103/7. 鄧瑞娟, An AUDV-based Backup Routing Mechanism for Time-Critical Traffic in Wireless Mesh Networks. 103/7. 王炯竣, R-SPOFTR: Relieving Single Point of Failure in Tree Routing of Wireless Sensor Networks. 103/7. 王韋勝, A Speed-based Backoff Algorithm for Control Channel Access in IEEE 802.11p Networks. 103/7. 王郁傑, Adaptive Adjustment of TDD Uplink-downlink Configuration based on Cluster Classification in Beyond LTE Heterogeneous Networks. 104/7. 黃永信, Multi-class Packet Scheduling with Miniumu-bandwidth Requirements over LTE Downlink. 104/7. 張凱涵, A Dynamic Backoff Algorithm for Radio Access Procedure in LTE Systems, 105/7. 陳弘運, A Frequency-estimation based Handover Algorithm for 5G Mobile Communications in High Speed Railways, 105/7. 陳稟升, Design and Implementation of Virtualization for the Enterprise Infrastructure, 105/7. 許振翔, An IP-based Rule Reducing Algorithm for Flow Tables in Software Defined Networks, 106/7. 江俊毅, An Adaptive State Backoff Algorithm for Wireless Networks, 106/7. 余旻昕, Fast Table Update Routing in Software Defined Wireless Mesh Networks, 107/7. 蔡定邦, A Grouping Mechanism based on Network Status for IEEE 802.11ah Networks, 107/7. 盧宥銘, A Fast Handoff Scheme with Load Balancing in Software Defined Wireless Networks, 107/7. 王俊堯, A Carrier-Preview Multiple Channel Slotted Ring for All-Optical Networks, 89年12月16日, 成大. 苗育本, Transparent Approach to Provide QoS for Applications in Integrated and Differentiated Services Networkds, 93年6月28日, 成大. 柯志亨, A Content-Aware Packet Marking Scheme for MPEG Video Transmission over Differentiated Services Networks, 96年1月25日, 成大. 何日新, CSMA/CP: A Novol MAC Protocol for IP over WDM Ring Networks, 96年7月14日, 成大. 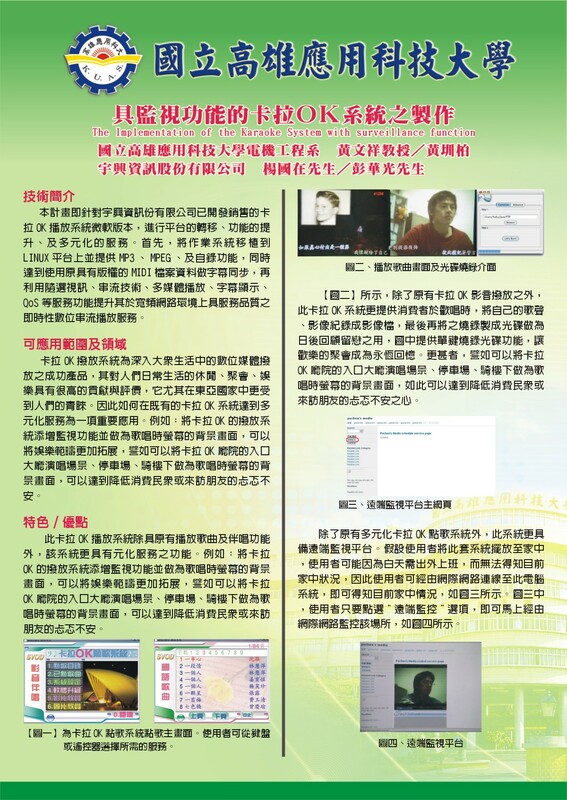 施啟煌, Study on DCCP-based Video Transmission over Wireless Internet, 97年12月13日, 成大. 林政翰, Study of RED-FEC Mechanisms on Access Point for Video Transmission over WLAN, 99年6月10日, 成大. 蔡明峰, Forward-looking Forward Error Correction and its Applications on Video Streaming over Wireless Networks, 100年6月14日, 成大. 梁浩銘, Study on Efficiency and Fairness in IEEE 802.11 MAC Protocol, 101年6月29日, 成大. 吳永進, The Multi-Channel Slotted Ring ATM Switch, 88年. 魏全佑, A Transparent approach to RSVP-aware UNIX FTP Applications, 89年. 王振宇, An Alternative approach to RSVP-aware Mbone Applications, 90年. 謝明錡, Dynameic Fair Queueing (DFQ): A fair scheduler Improving Wireless network over hybrid LAN with wired and wireless links, 91年. 施啟煌, Adaptive smooth packet marking strategy for multimedia transmission over differentiated-service network, 91年. 邱基峰, Preemption Avoidance and Traffic Prediction Algorithms for DiffServ-aware Traffic Engineering, 92年. 廖鍾志, A Transparent QoS Mechanism for VBR Video-Streaming Applications, 92年. 吳宗勳, Design and Implementation of a Policy-based Resource Management Scheme to Support QoS for Bluetooth Piconet, 93年. 游允帥, An Efficient NAT Traversal for SIP and Its Associated Media Sessions, 93年. 王鍾漁, An Integrated Rate Control Scheme for TCP-friendly MPEG-4 Video Transmission, 93年. 涂裕閔, A Congestion-aware Error Control Scheme for Video Multicasting in 802.11 Wireless LAN, 93年. 梁浩銘 An End-to-End Loss Differentiation Algorithm for TCP-Friendly Rate Control Protocol, 94年. 袁隆宇, A Two-Phase Bandwidth Allocation for VBR Video Traffic in Wireless Networks, 94年. 蔡明峰, An Adaptive Multi-hop Scheme to Enhance the QoS of Video Streaming Transmission, 95年. 吳健豪, A Packet Size Control Scheme forImproving the QoS of Wireless Video Transmission with Forward Error Correction, 95年. 高谷蘭, An Adaptive Cross-layer Mapping Algorithm for MPEG-4 Video Transmission over 802.11e Wireless Network, 96年. 郭俊儀, A Novel Multi-path Forward Error Correction Control Scheme with Path Interleaving for Video Transmissions, 96年. 郭俊男, Employing In-packet Segmentation with Wireless ARQ Protocols to Improve the Quality of TFRC Video Streaming, 97年. 廖凰志, Bandwidth Aggregation and Packet Scheduling for Multi-path Streaming, 97年. 吳宗翰, Using Adaption Byte and Sub-Packet Level FEC with ARQ to Reduce Error Recovery Overhead, 98年. 王昱琪, An Unequal Error Protection Mechanism for Video Streaming over IEEE 802.11e, 99年. 黃韋滄, A Delay-based Proportional Bandwidth Allocation for Wireless Mesh Networks using IEEE 802.11e, 100年. 黃祥瑜, A Virtual Fragmentation-based XOR Error Correction Scheme, 100年. 張懷文, An Enhanced Prediction-based Forward Error CorrectionScheme. 101年. 林志勳, A Dynamic Mapping Algorithm for balancing External and Local Traffics on IEEE 802.11e WLAN. 102年. 林孟平, ICST: A Low-Delayed Forward Error Correction with Interleaving Coding and Sequential Transmission. 103年. 蕭秉文, Dynamic Scalable Sliding Windown Forward Error Correction for Real-time Video Streaming. 104年. 林欣達, Adaptive Retry-Based Forward Error Correction for Video Streaming over WLANs. 104年. 韋宇航, A Rapidly Adaptive Collision Backoff Algorithm to Improve Throughput for Wireless LAN. 104年. 劉岱穎, An adaptive mapping algorithm for video streaming over IEEE 802.e, 105年. 黃雅鈺, 陳相如, 王泰立, 田景榮, 詹嫆慧, 林家暉, 尤森村, 梁儷瀞,王懷毅, 游啟信. 98/6.